WEAK. OK, they are open late, being a plus when you have been driving for nearly 14 hours and the only reason they are NOT getting a 1-star rating. 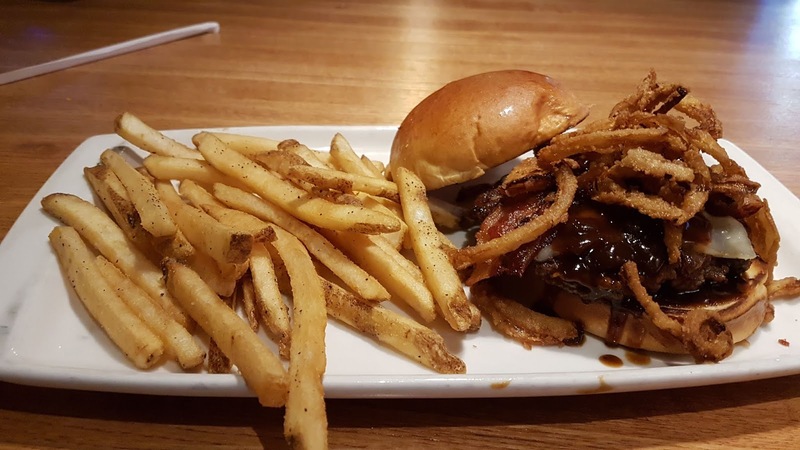 The server was friendly enough, but she was also the hostess, seating newcomers rather than focusing on her customer's needs. The place was unusually busy for a Monday night and the Dodgers were playing on the TVs in the bar, but I was not given the option of sitting there for some reason. I was too tired to object. I ordered the Whisky Bacon Burger ($12.29 - "no pink") which, according to the menu, has "caramelized onions and bacon seared into an all-beef patty PILED with Pepper Jack cheese, crispy onions, Applewood-smoked bacon and Fireball® Whisky-infused steak sauce on a Brioche bun". "Piled" is quite a stretch because this was one of the smallest $12 plus hamburgers I have ever had and it and the accompanying smattering of "classic fries" barely filled the very small plate. 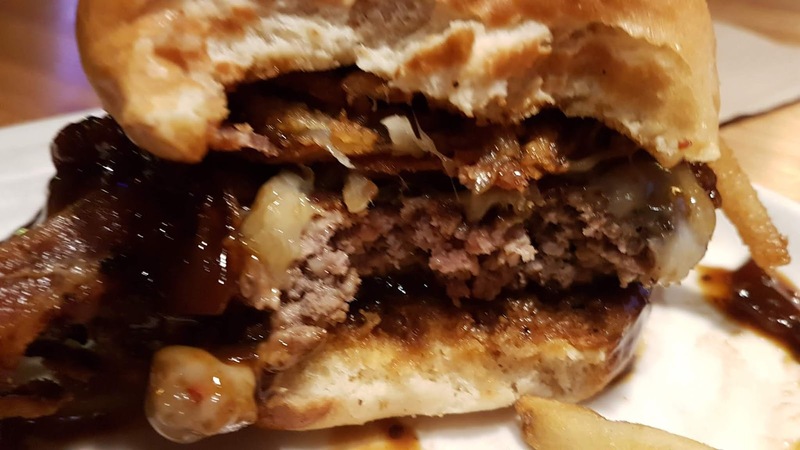 The flavor of the burger was not bad and the fries lukewarm, but my "no pink" burger was definitely undercooked (see photo) even though their menu also states: "CONSUMING RAW OR UNDERCOOKED MEATS ... MAY INCREASE YOUR RISK OF FOODBORNE ILLNESS". I was too hungry to send it back and still hungry after my meal, having been the only one I consumed the entire day. Fortunately, I did not get sick. I do not order soft drinks i when I eat out and alcohol was not an option without my designated driver, so I had water, bringing the total to $15 plus for a very disappointing burger and fries. For comparison, my boys and I ate at another national chain (famous for their salad bars) in Dillon, Colorado the night before, paying just $12.99 (only 70¢ more) for an incredible all-you-can-eat salad, a larger "Smokehouse Burger" with more and hotter fries, AND dessert (hot fudge cake with ice cream and whipped cream). 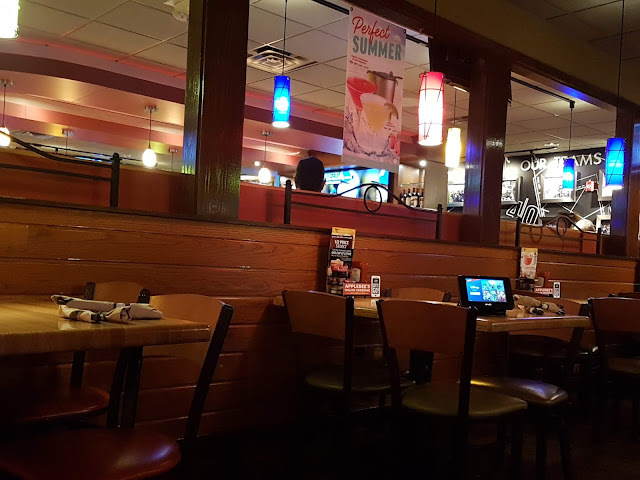 Needless to say, I will not be eating a Applebee's again, preferring any fast food chain's burger and fries at half the price paid here. 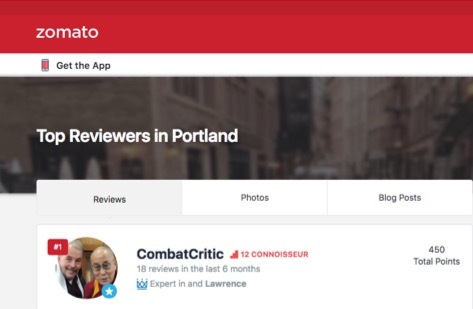 CombatCritic Gives Applebee's Grill + Bar 3 Bombs Out Of 10 ... More Bombs Are Better!